Even as we were leaving for our desert camp, we had glimpsed enticing sights of the golden Jaisalmer Fort located prominently atop a hilltop in the centre of the town. The Fort or the Sonar Quila (made of yellow sandstone) was of strategic importance, giving relief and respite to many a weary travellers. It’s courageous Bhati rulers,offered security to the passing caravans loaded with rich silks and precious jewels and the fort served as a crucial link connecting the east and the west,enabling trade and commerce to flourish. Given Jaisalmer’s strategic importance in the 2000-year old silk route, its no wonder that Jaisalmer is still a rich potpourri of an interesting intermingling of cultures and traditions. As with previous fort we had encountered, this one too had witnessed bloody sieges, massacres and the almost inevitable Jauhars. Despite the similarities, every fort feels different.Whereas the Ranthambore Fort smelt of mystery and secrecy, the Jaisalmer Fort was alive with vibrancy, not surprisingly because its one of the largest “living” forts. As we made our way to the fort, through the narrow and winding bylanes of Jaisalmer overlooked by buildings some reminiscent of an older era adorned by rich carvings and some cloaked by modernity, we suddenly joined the massive rush of humanity entering the fort walls.The fort houses various structures like a magnificent Jain temple, a Royal Palace and various other beautiful architectures along with a plethora of curio shops, shops selling beautiful Rajasthani works of art and eateries. Since Jains constituted some of the very rich merchants passing through Jaisalmer, many of them soon settled there and the presence of Jain temples inside the fort built by the Bhati kings, is an indication of the importance they were accorded. Apart from the magnificent forts and the palaces it housed, Jaisalmer town also boasted of magnificent Havelis. One of the most striking ones was the Patwon-ki-Haweli which was constructed in 1805 by Patwa Guman Chand for his five sons. The architectural carvings on its “Jharokhas” was breathtaking and also of interest were the interesting array of household items from the past era, that was on display. On the night before we were to leave, we witnessed a puppet show in a theater run entirely due to the efforts of one man, Mr. N.K. Sharma, a retired teacher.Unassuming in demeanor and impressive in what he has managed to accomplish, Mr Sharma donated his entire retirement money for the cause of keeping traditional art forms alive and to provide a decent platform for thousands of unacknowledged but extremely talented folk artists. As the night ended to the dancing of the colorful puppets jiggling to the tunes of melodiously sung Rumi hymns, we looked forward to our next stop at Jodhpur.. If you were to visit Jaisalmer, do keep aside at least 3-4 days as there several offbeat places to see near about Jaisalmer, where you can visit old ghost towns and abandoned villages and experience the relics of the magnificent silk route. We stayed at the Mystic Jaisalmer, a nice non-pricey hotel right in the center of the city. They were even considerate enough to give us free packaged breakfast for the train as we had kids with us. Most of the items in the fort were supposed to 70% costlier than what you could get outside the fort, and almost all were cheaper at Jodhpur/Jaipur. Continued from the Ranthambore trip..
From Ranthambore, we took a train to Jaipur and another overnight one to Jaisalmer. As we neared Jaisalmer, the trees vanished and the landscape changed dramatically.We saw more and more army uniforms as we passed the station of Pokhran, given that Jaisalmer is just around 340 kms from the Indo Pak border.The heat was scorching in Jaisalmer.We were to travel another 40 kms to reach our desert camp situated on the edge of the Thar.As we left the Jaisalmer town behind, a vast panorama of open land stretched out on both sides of the road.It was as if we were travelling to the land of nowhere. As we drove towards the Rajputana desert camp (the one we had booked), we passed several others on the way, an oasis of white roofed tents with some jeeps and camels around. On reaching the camp,a row of small white,tent style cottages greeted us. The cottages were built with concrete walls and a canvas material used for the roofs. Considering the room rentals,I was initially taken aback by the almost spartan facilities, but then on second thoughts, it appeared reasonable when I considered that it’s probably much harder to get even basic facilities in a desert camp situated miles away from anywhere. The first thing on the agenda was a jeep safari into the desert and I visualized a leisurely drive up and down the sand dunes awaiting us. The open jeeps promptly arrived and off we went.Soon the driver veered off the road and we were bouncing over a rough shrub strewn track.We reached the “Sam” sand dunes and the driver accelerated wildly. We just managed to hang on to the vehicle by entwining our hands into jeep’s metal side bars.We went uphill on each sand dune on full throttle and hung precariously on the top before descending steeply.The wild life safari in Ranthambore seemed tame in comparison to this. As always, while hanging on for dear life, cameras are far from the mind, except for those poor individuals who seem so bent on perfecting their right “selfie” that they give up their lives for it. Having no such noble intentions myself, I am forced to use a YouTube video to show you the thrills of the Jaisalmer Jeep safaris. We were finally dropped in the desert and we were relieved to see that all our limbs were intact and functioning.There were some people taking camels to travel deeper into the desert while many others lounged around doing photo shoots. A camel safari agent dogged our heels stating that he would show us the place where the shooting of Kareena Kapoor’s Refuge film happened.There were a group of gypsy women who were dancing and demanding money. Soon, the gypsies and the camel safari agents got tired of us and left us alone. As I experienced the desert in it’s vastness,it reminded me of the sea and this poem I read on the walls of a hotel in Jaisalmer. The nights in the camps are a big attraction.People gather under the open sky and a group of rural folk artists sing and dance.Finger-foods are continuously served as you soak in the ambiance. The folk musicians used a very interesting set of musical instruments.One was called a Kartal, which is just two blocks of wood.Despite its simplicity, it produces a very interesting percussion sound. The dancers performed the “Ghoomar” dance and the “Kalbelia” dance where the dancer bends her torso backwards and lifts a note using her mouth from the floor. Traditionally, the dance is performed by the Kalbelia community whose occupation consisted of catching snakes for their venom.So the Kalbelia dancers wear black and the sinuous movements resemble that of the serpents. Their performances also include dancing while balancing on top of plates and glasses, on knives and on glass shards. Amidst the dancing and singing, night descended on the desert and it started getting chilly. There was a traditional Rajasthani dinner buffet consisting of various delicacies including Gatte ki Sabzi. Early in the morning was our camel ride to see the sunrise. The ride was novel and we soon learnt that the trick was to keep your body loose and adjust to the camel’s rhythm of movement. What we didn’t bargain for however,was that we would be riding a celebrity. Our camel’s name was Michael Jackson! So, MJ apparently ate 20 kgs of Bajra and Jaggery ! Looking at him peacefully chewing his cud from the previous night, he was probably happier than his namesake. As the sun rose high over the desert, we headed back to Jaisalmer town where a magnificent “kila” and the “havelis” awaited us..
A trip to the beautiful state of Rajasthan had been on our bucket list for so long, that it had gathered moss. Finally it materialized this October, when we managed to cover a tiny bit of what Rajasthan had to offer. Even though we had nearly 8 days, travel time within Rajasthan ate up quite a bit of it. Our first stop was Ranthambore, roughly a 4-5 hours drive from Jaipur and connected by good roads.Train journey is only 2.5 hours and there are regular trains to the small town of Sawai Madhopur. Typical of tourist places, Ranthambore hotels are generally expensive and in the best interests of our wallets, we chose to stay at the Vinayaka residency run by RTDC.They offer clean functional rooms with good bathrooms. Ranthambore Fort,one of the main attractions in Ranthambore,is a beautiful fort and was once counted among the most impregnable forts of India. It was coveted by the Mughal rulers because of its strategic importance in the trade route and was built sometime during 944 AD during the reign of Chauhan Rajput King. The sharp spikes on the main entrance door prevented elephants from breaking open the door.Even more ingenious was the use of a right-angled shaped entry to access the gate. This prevented any possibility of exerting a strong force to break open the door. Called the Andheri Gate or Pol, this gate falsely leads an enemy to an open ground which had a pit covered with grass, while the real entrance was on the right. Battis Khamba Chattri (32 Pillared Umbrella) is built right in the center of the fort to commemorate 32 years of rule of the King.There was a small Shiva temple which was situated right under the Battis Chchattri, entry to which was again through a secret passage that’s not easily visible. True to the intrigue that surrounded the place,the walls bear history to a lot of tragic happenings. Hammir Dev, an illustrious Rajput ruler invited the wrath of Mughal Ruler Allauddin Khilji, when he gave protection to Khilji’s enemy. When Khilji found a direct incursion was extremely difficult, he chose treachery and bribed Hammir’s two generals. After the battle, the traitorous generals raised the black flag of the Mughals even though Hammir was very much alive, and all the women in the fort committed Jauhar (suicide).The married women committed Agni Jauhar (immolation) and the unmarried Jal Jauhar (drowning). When Hammir found out about the treachery, he tortured and beheaded the traitors on this very rock. Afterwards, he had no desire to live and he chose to give up his life in front of Lord Shiva. ( This was the version as told by the local guide. I did however find some contradictory facts about the nature of his death, some of which claimed that Hammir had died in the battle itself.I also couldn’t find too many details about the exact nature of the treachery. However the guide’s version could have been passed down as popular folklore and was riveting to hear). In fact, the guide also inserted some mythology here and claimed that Lord Shiva did not want to take Hammir’s life , but on the third attempt Hammir had his way ! The fort was huge and involved plenty of walking.There were also a lot of monkeys in the fort eating a whitish powder, which we later discovered to be Bajra powder which the locals fed them. In the afternoon at 2.30,was our trip to the Tiger Reserve.The safari happens both in the mornings and afternoons.After consulting experts who claimed to have direct contacts with the tigers, we were advised the afternoon safari.The reserve is split into several zones and we were allotted Zone-6 (Again vetoed by the tiger astrologers).One can either take a canter ( which is an open van with seating of about 20 people) or a gypsy (if the number is less than 7). The canter costed us 550 bucks/seat and off we went on a bumpy ride across the town. Sawai Madhopur is a very small dusty town, mainly surviving on the tourism industry.The narrow bylanes and the small run-down shops were a stark contrast to the plush touristy hotels. Finally we entered the jungle through the Zone-6 entry gate. It’s an interesting forest, very different than the ones we see in the western Ghats. Dry deciduous trees alternate with open grassy meadows making the changing scenery a pleasure to watch.Photography is a difficult accomplishment unless you have more than two hands, considering that you needed both of them to hold on for dear life and to keep ducking to escape passing branches. In fact, one of our co-passengers, a french lady, who underestimated the ride, was unseated ignominiously from her seat. Over 40 species of mammals which includes tigers,leopards,sambar deer,spotted deer,neel gais and jackals ; 35 species of reptiles and 320 species of birds including migratory birds are found in the jungle. 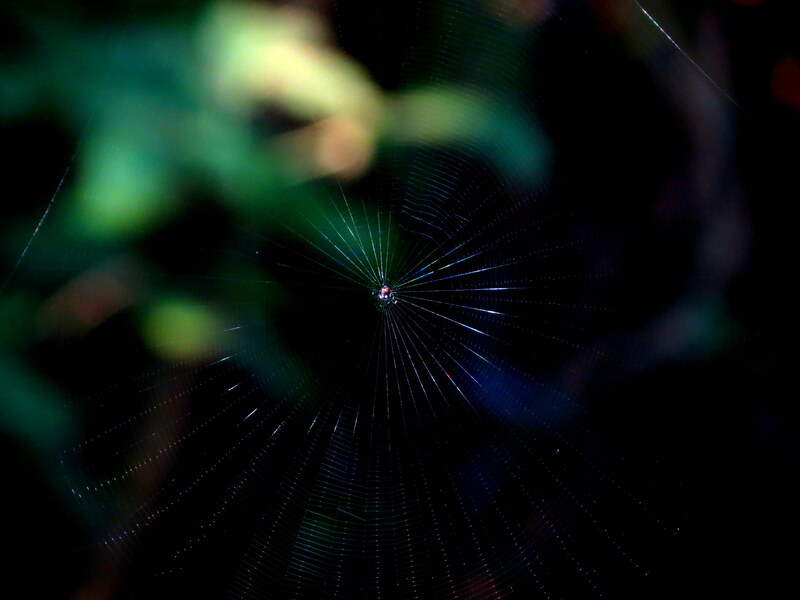 We spotted a lot of sambar deer, spotted deer, a wild boar, a crocodile which was catching the last rays of the sun. When we stopped to see a Grey Pond Heron which was busy doing its own thing, a pot bellied Uncleji wanted to know if we were planning to waste time on such things instead of looking for the “main cheez”. We did finally spot some tiger paw prints on the road, but didn’t spot any tiger, though there were 20 pairs of eyes of straining hard to see moving stripes. As is the norm in such safaris, one gets to hear of the morning travelers who managed to spot or the ones that went after us who got lucky. We contended ourselves by posing in our tiger T-shirts.Considering that I normally haven’t ever had the luck of spotting any of the big cats or for that matter anything even remotely falling in the “dangerous predatory animals” category, this safari didn’t do anything to upset my comfortable status quo. We departed from Ranthambore the following day by train and onto our next destination – Jaisalmer ! The sun, sands and the sea? Nah. Not by a long shot. 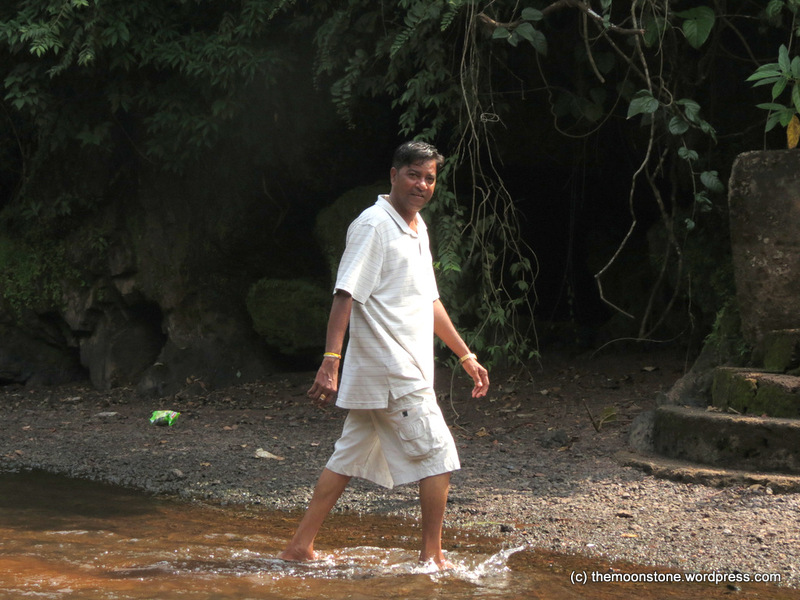 Those were the images on our mind as well till we glimpsed a different Goa. 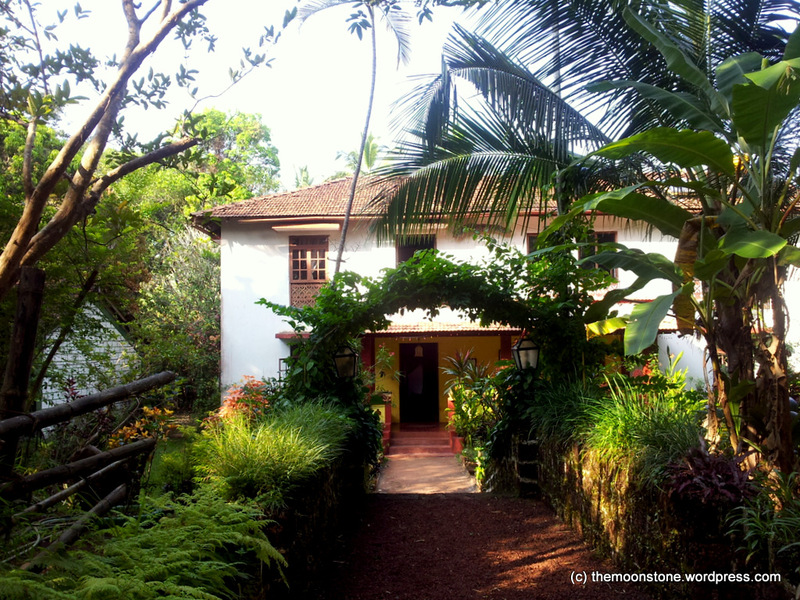 A rustic and virgin Goa. 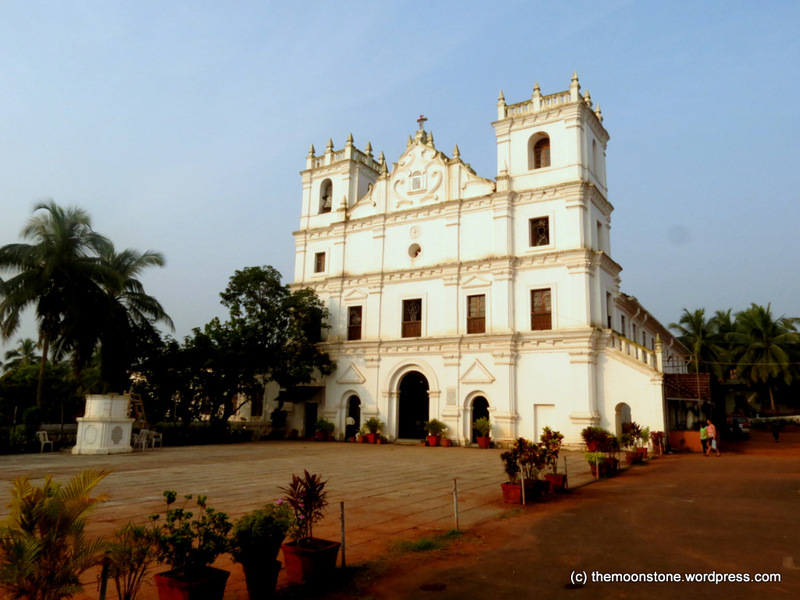 A Goa that promised to be more alluring than its famous alter-ego. We booked our vacation through India Untravelled and got a chance to stay at one of the most amazing locations ever. 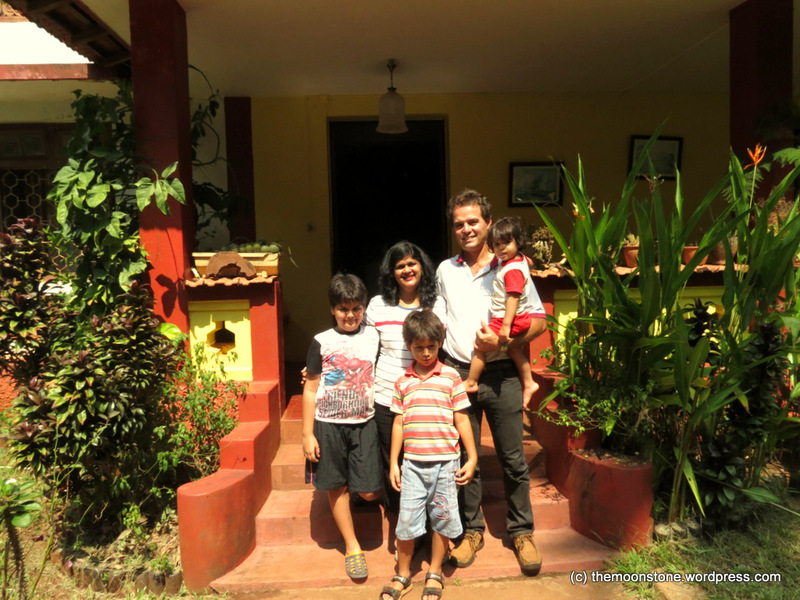 Our homestay “Cancio’s House” was located deep in the hinterlands of North Goa – in the tiny village of Aldona located on the banks of the Mapusa river. “Cancio’s House” also known locally as the Amaral’s house is a 500+ year old Goan-Portugese property owned by the beautiful family of Roberto Amaral, his graceful mom Maria, his wife Raquel, their three lovely kids – Harrison, Antonio and Rafael, their two beautiful dogs – Donut and Jess and the cat which has adopted them – Floss Boy. The house, which is believed to have been built in the pre-Portugese period, has undergone several restorations over generations but still retains its old world charm with lovely rooms overlooking a central courtyard. We listened avidly as Roberto recounted his rich family history in the charming dining room where black and white photos of his ancestors line the walls, lace curtains adorn the windows and the lilting strains of music floats in the background.The house is surrounded by dense foliage consisting of native trees, shrubs and creepers inhabited by a plethora of creatures. Roberto and Raquel welcome their guests warmly not only into their homes but also their hearts. I was overwhelmed by their amazing hospitality in spite of them being in the midst of a personal tragedy. My 9 year old was elated to have found such endearing friends and dogs to play with and had to be literally dragged out for any outings! 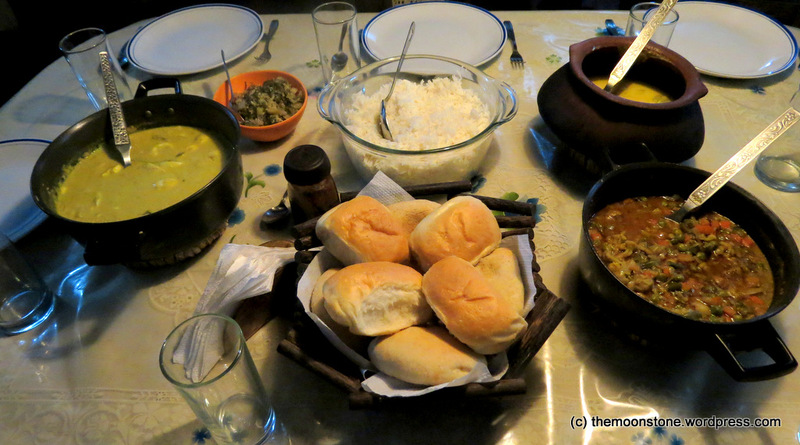 As Roberto regaled us with his inexhaustible supply of anecdotes, Raquel served us wholesome home cooked meals. Her home-made chocolate brownies and jams are something to die for. 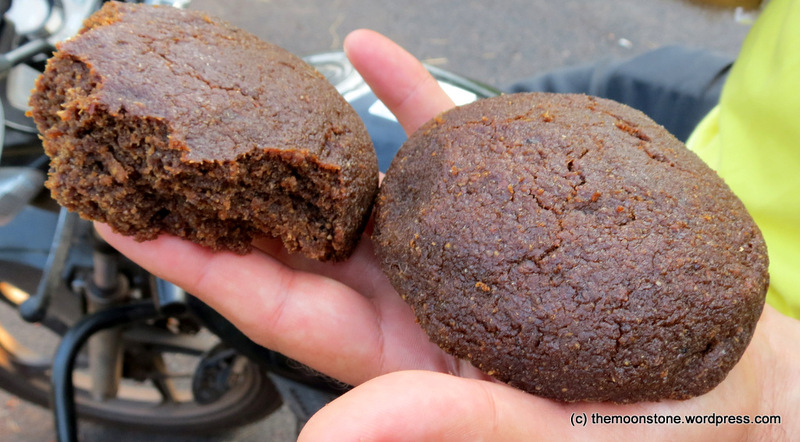 We tasted several locally made breads like the Katro (Butterfly bread), Poi (Wheat flour based bread) and even had the good fortune to taste the Bol (A traditional goan bread made for distribution during marriages). Roberto took us to visit a local bakery where we had the opportunity to see the breads being freshly made. 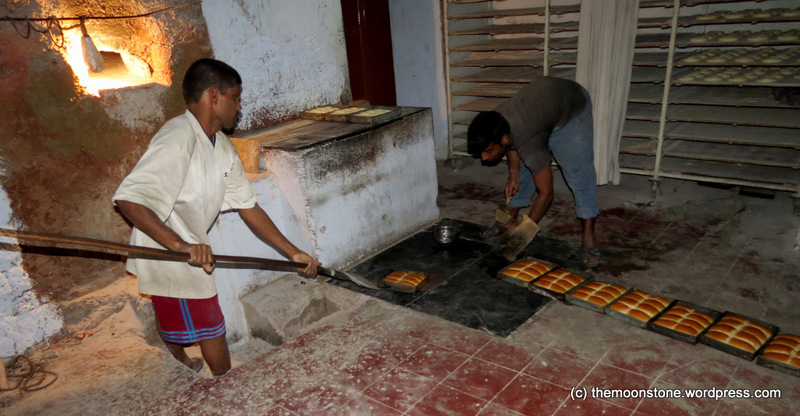 Piping hot Pois’ straight from the wood fired earthen oven tasted heavenly! Bread straight from the oven ! 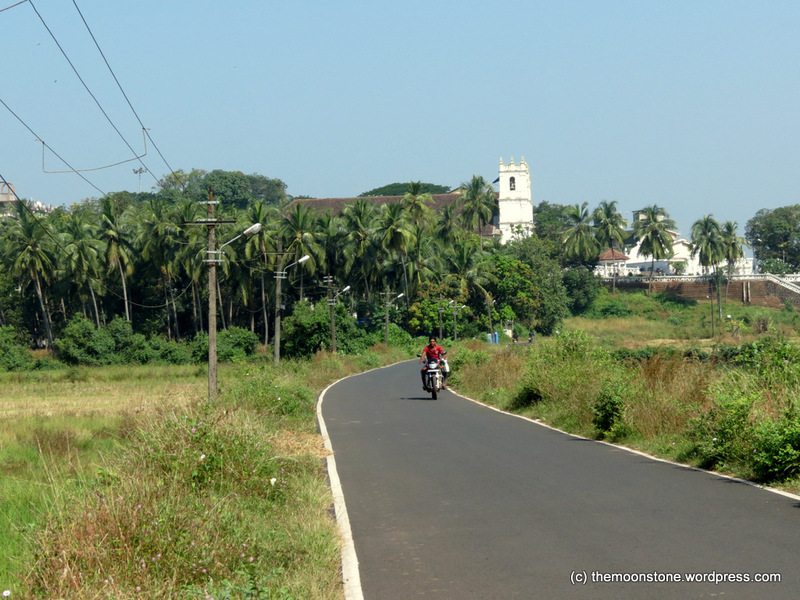 Aldona is a biker’s delight as the narrow but incredibly well maintained roads crisscross the entire village. 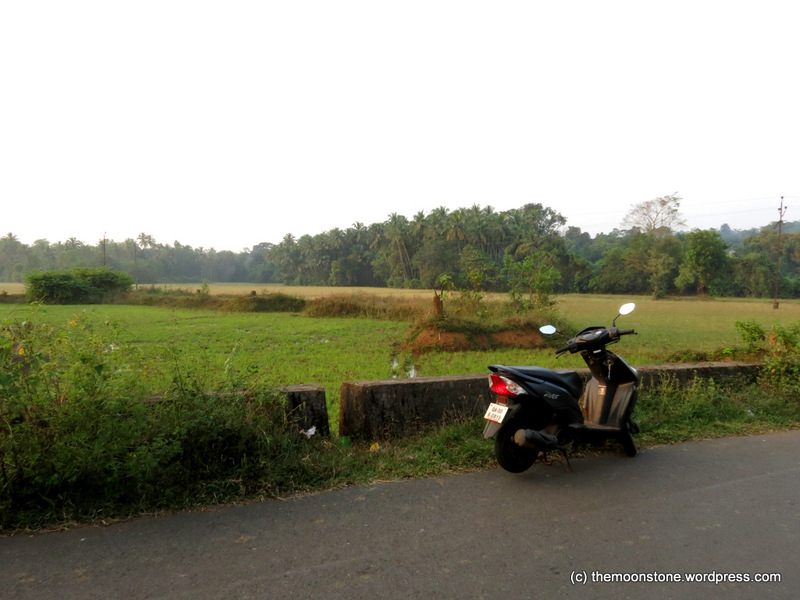 We rode past lush fields, small water bodies, local churches, old Portugese styled homes and through some interesting stretches that led nowhere. It’s a place where one can keep driving forever. 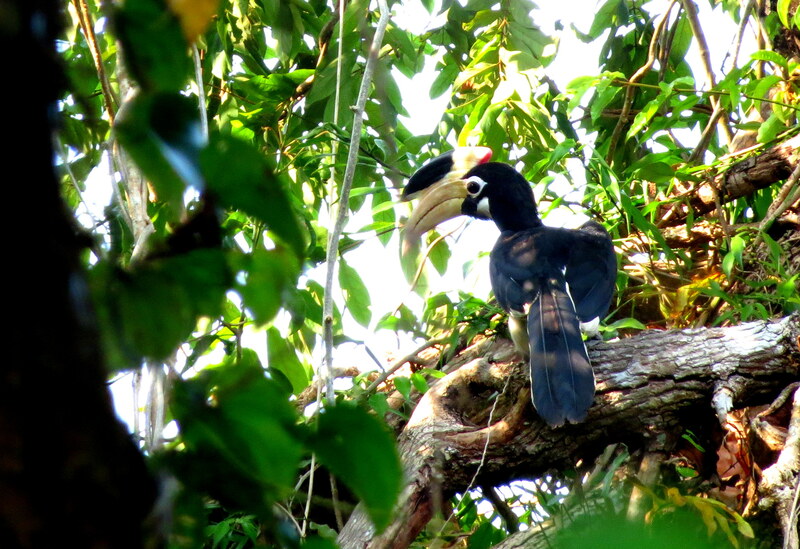 We did stop at times to listen to the call of the Red Wattled Lapwing or to gaze at the beauty which a serendipitous turn on the road would reveal. We stopped by an old stone bridge with wooden sluice gates (Teen Mansher) to see an angler gathering his spoils for the day. 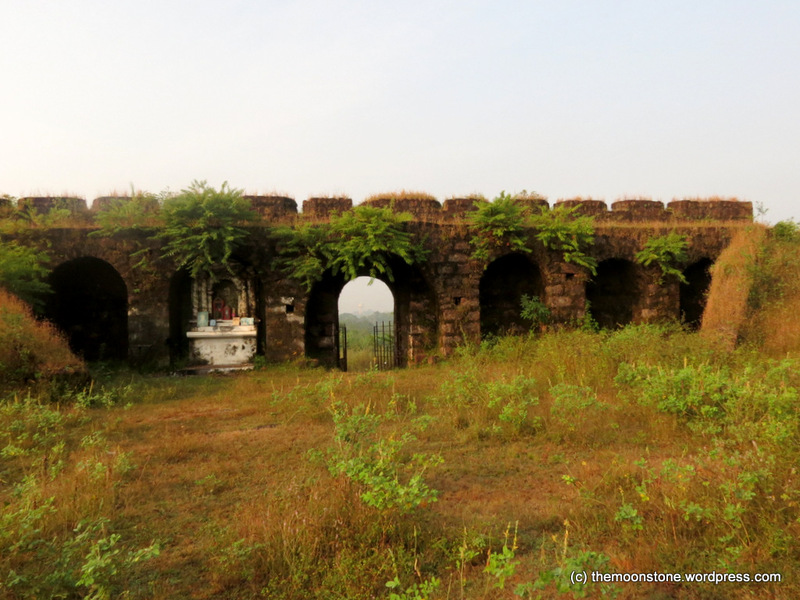 Around 4 Km from Aldona are the ruins of the old Corjuem Fort built around 1705.A military fortress used for the defense of Portugese India, the ramparts of the fort were an excellent place to watch the sun set over Aldona. 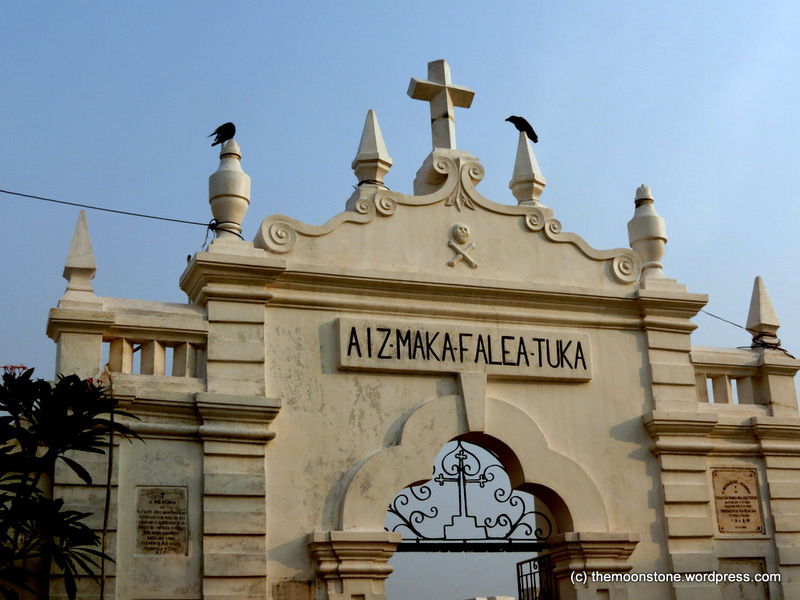 Amidst the small hamlet, the white washed walls of St.Thomas Church rises imposingly. A 400-year old church, its ornately decorated biblical murals were captivating as I attended the mass with Roberto and Raquel on All Soul’s Day. 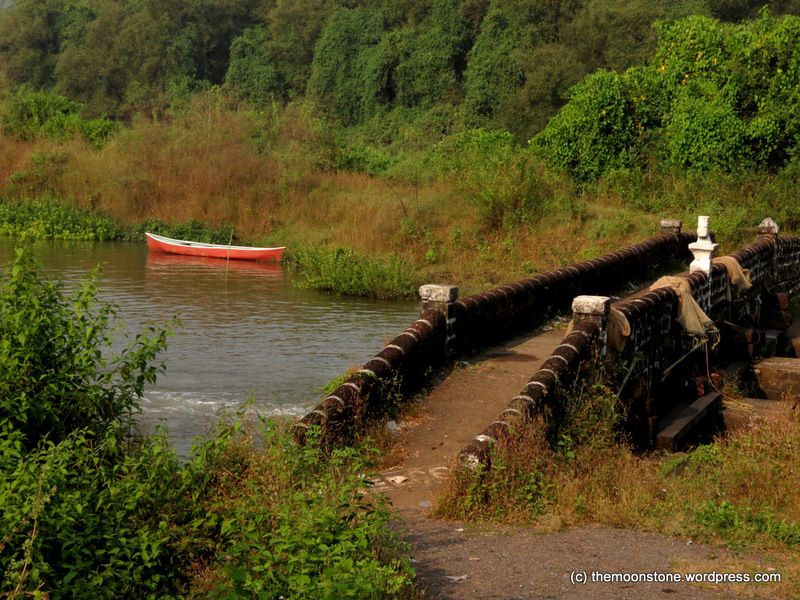 The adjoining villages of Aldona boast of some breathtaking lakes and waterfalls. 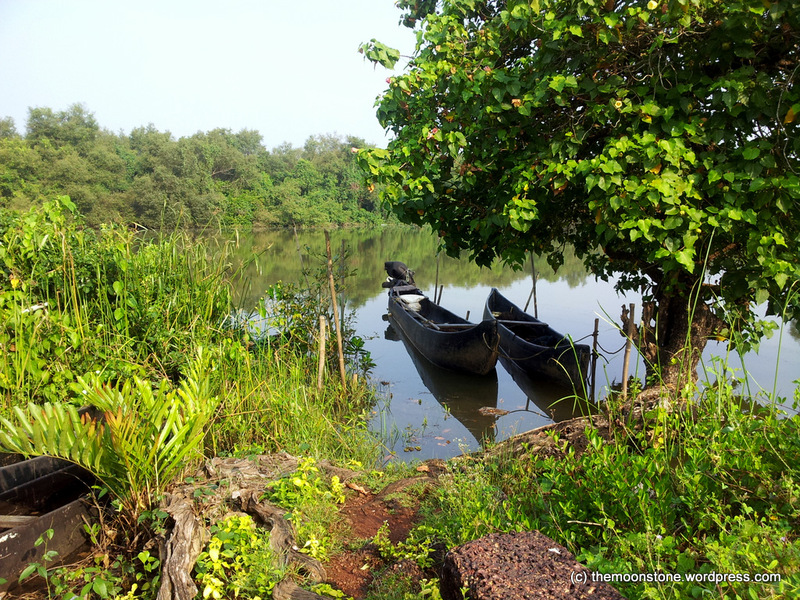 Mayem lake, around 10 kms from Aldona and located among sleepy villages, is a sparkling and serene water body enveloped by lush vegetation. 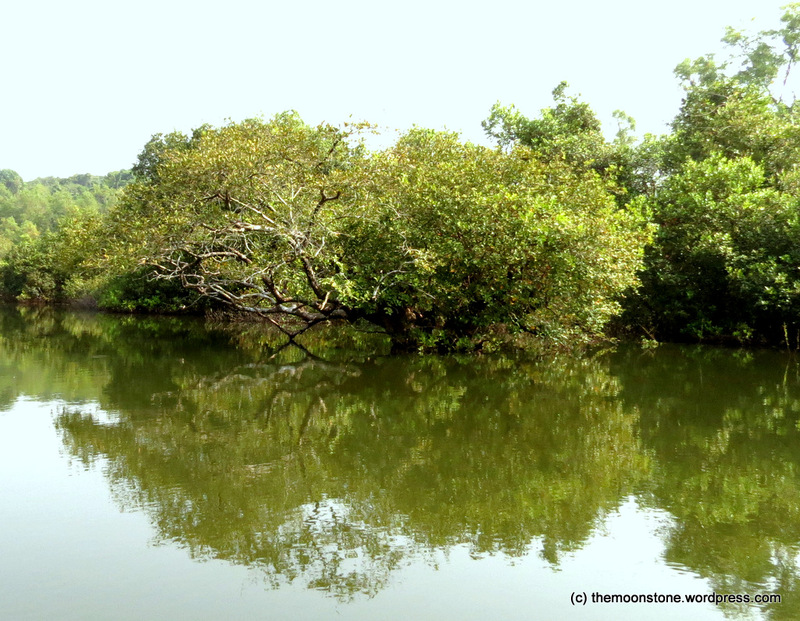 As our boat glided in the crystal clear waters, we seemed suspended in a tranquil space as the greens above merged with their shimmering green reflections. 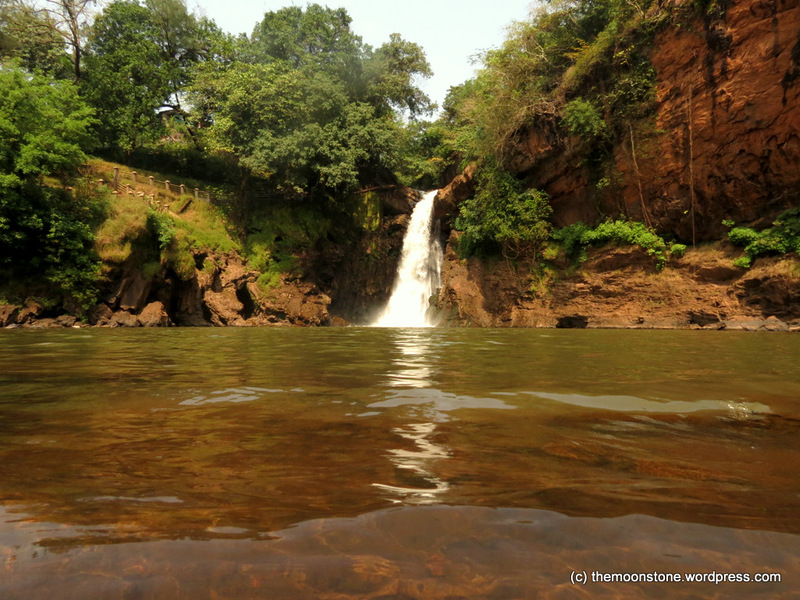 The Arvalem Waterfalls around 20 kms from Aldona, is located near the village of Sanquelim. Located in a small cove nestled amidst dense vegetation, the waterfall is pristine as the white foam cascades down the sheer rock cliff. 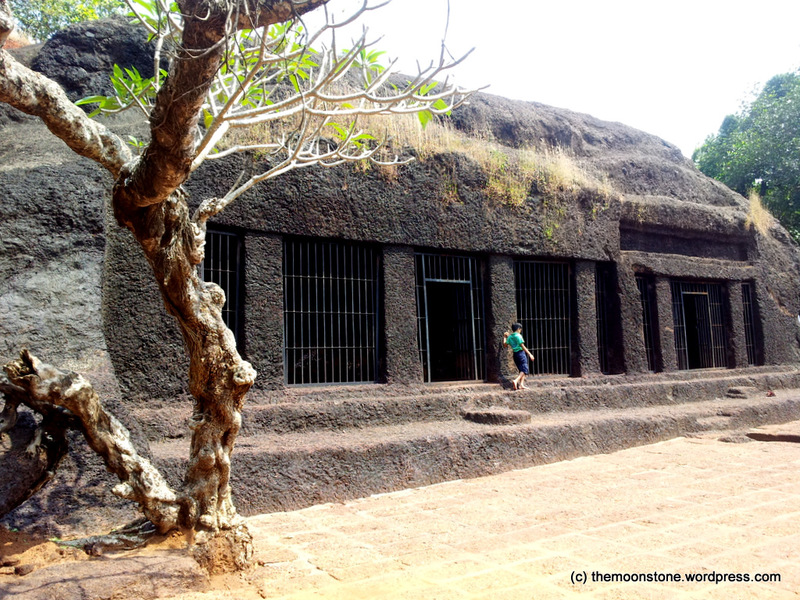 Adjacent to the waterfall, the monolithic structure of the ancient rock cut cave of Arvalem, which dates back to the 5th-6th century, stands striking with its laterite stones. As one absorbs the stillness of the chambers inside, one can almost travel back in time. One cool morning before sun rise, we set off for Salim Ali Bird Sanctuary. 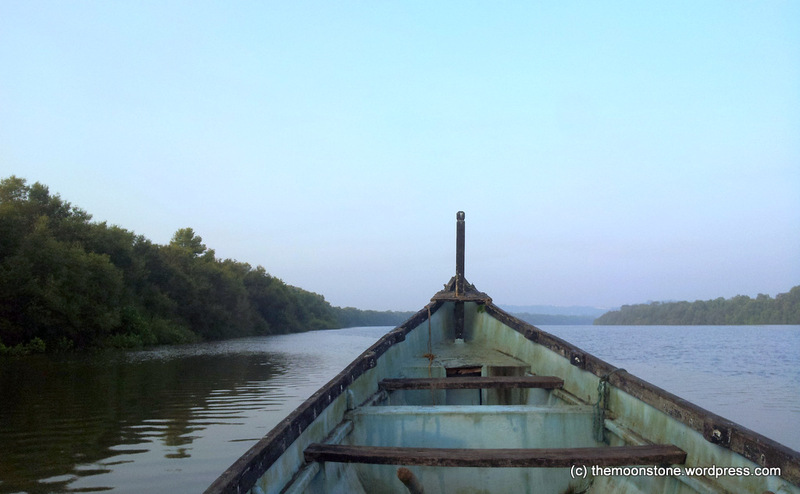 As we floated in the estuarine mangrove habitat located along the Mandovi river, we spotted several types of Kingfishers, Egrets, Redshanks, Cormorants, Brahmini Kites, Sandpipers and the more rarely seen Lesser Adjutant Storks. And at long last, we did go to a beach ! 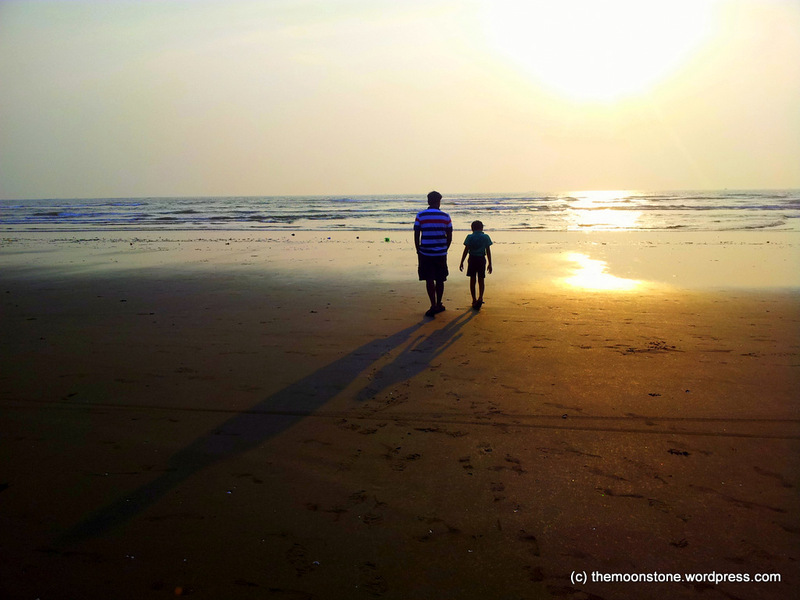 Morjim beach – one of the lesser known and hence, lesser populated beaches in Goa, it also serves as the nesting site for the Olive ridley sea turtles. Au Revoir Aldona ! We leave a part of us with you and take breathtakingly beautiful memories back home.